The Kaisersteinfels has an intense aroma of pure Riesling fruit. Vigor is coupled with subtle elegance in this wine. The well-melded fruit acid is buffered by a fine remnant of sweetness, and the result is a highly dynamic taste experience. This Riesling makes an ideal accompaniment to rich cream sauces and green pepper, chicken breast with tarragon, crème fraîche and young peas, glazed breast of duck, Chinese noodle salad with lemon juice, ginger, soy sauce, sesame oil and coriander sprigs. The Rheingau Region is the only point where the Rhine river flows from east to West as it encounters the Taunus mountains. For 30km it flows due west, exposing a vast south facing slope, which gets progressively steeper as it moves west. It is only the last 6km, from Rudesheim onwards, where Johannes plies his viticultural skills. 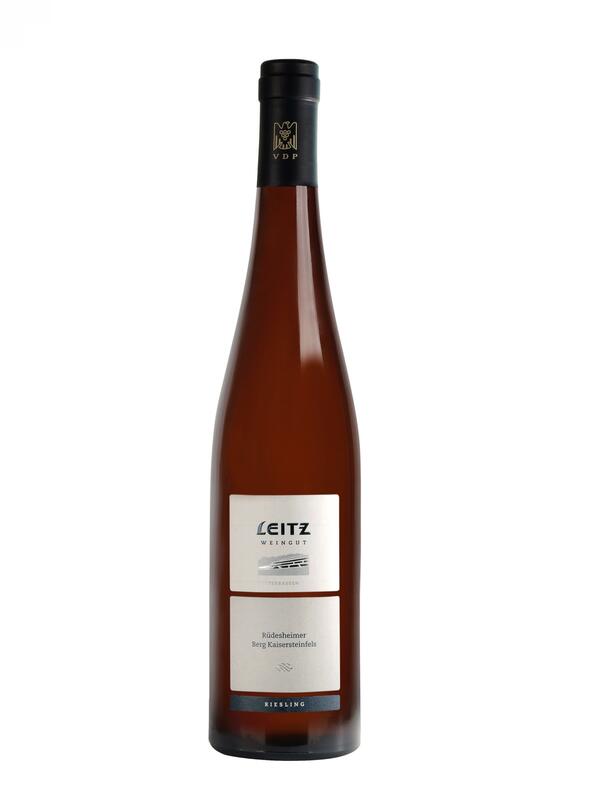 One speciality and definitively the strength of Leitz winery is the strict collection of first growth Riesling vineyards combined with low yields and highest standard vineyard management.